This page provides a comprehensive list of policies applicable to the school community. The assessment procedures are intended to provide an indication of a student’s attainment of a wide range of syllabus outcomes. Assessment covers the whole course in each subject, including knowledge, understanding skills and processes and addresses all these projected outcomes. The Years 7-10 syllabuses advocate assessment for learning. Assessment for learning gives students opportunities to produce work that leads to development of their knowledge, understanding and skills. Teachers decide how and when to assess student achievement, as they plan the work students will do, using a range of appropriate assessment strategies including self-assessment and peer assessment. The feedback that students receive from completing assessment activities will help teachers and students decide where they are up to and whether they are ready for the next phase of learning or whether they need further learning experiences to consolidate their knowledge, skills and understanding. Some of the tasks that students will be given in a subject will not be assessment tasks. Students are required to complete all set tasks not only those for assessment. Gathered evidence is used for assessment of learning which takes place at key points in the learning cycle, such as at the end of Semester 1 and Semester 2, when students receive reports identifying the levels of skill, knowledge and understanding they have achieved. The school’s Assessment Policy and Program for each year includes information on assessment processes at the school and faculty specific information on assessment tasks. They are available for download from the file repository. The assessment policy booklets provides you with an assessment schedule for each of your subjects. Anticipated areas of learning and weightings. At the conclusion of the subject assessment schedules in the booklets is a summary table for your assessment tasks – this will allow you to draw up your own diary of assessment tasks to assist you in managing and completing these tasks (maximum 2 tasks per day and 4 in one week, excluding practical submissions completed at school and during assessment blocks in Term 2 and 4). If you have a problem with too many tasks scheduled at the one time, see the Deputy Principal in charge of your year immediately. Please see the relevant faculty Head Teacher to submit the evidence, such as a medical certificate. For Year 10 assessment tasks, only medical certificates will be accepted. For accelerated courses, see the Years 11-12 section. Please see the Deputy Principal overseeing your cohort grade to submit the Appeal Form and corresponding evidence (such as a medical certificate). For accelerated courses’ assessment tasks, please see that year’s Deputy Principal (e.g. Year 10 student enrolled in accelerated Chemistry, studying the Year 11 Course, should see the Deputy Principal in charge of Year 11). Students are expected to attend school and be present for each lesson or activity. If a student is absent, or needs to leave school early, they are required to bring in a note to the Administration Office, signed and dated by their parent or caregiver to explain the absence. In the event of a prolonged illness parents/caregivers are asked to notify the school after three days. If it is known in advance that the student will be absent, the Administration Office can also be informed prior to the absences. Minimum attendance rates suggested by the NSW Education Standards Authority are endorsed by the Department of Education and affect a student’s eligibility for the award of the RoSA (Record of School Assessment) and/or the Higher School Certificate. The school enforces these attendance rates. Correspondence notes are sent home to parents and caregivers if a satisfactory explanation is not provided within seven days of a student’s absence. An SMS message is also sent to parents at approximately 11:00 am if the student has not arrived at school or is late. Any application for leave must be submitted on a form available from the Administration Office and should be accompanied by a written application that clearly identifies the circumstances for requesting the leave. Extended leave of up to 100 days may be approved by the Principal in exceptional circumstances. Any leave of more than 100 days will need to be approved by the Director of Public Schools. The policy, user agreement and other associate documents are stored and will be updated in this folder. 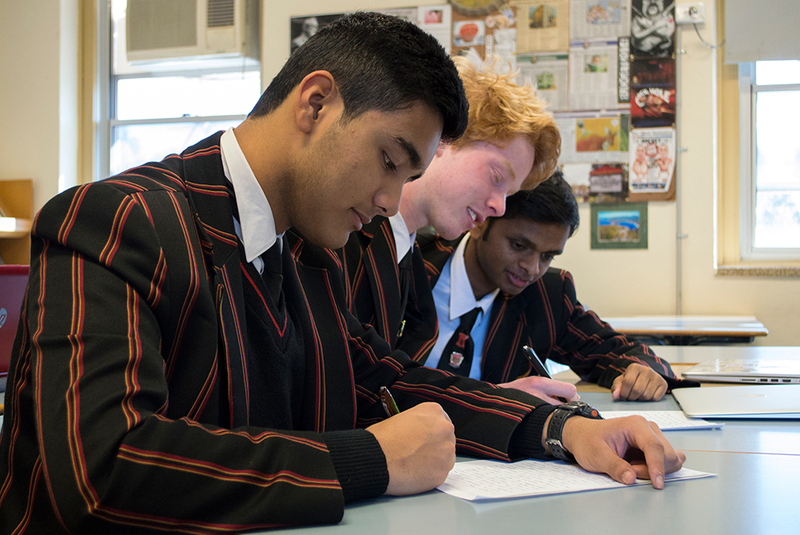 Normanhurst Boys High School, in consultation with our school community, has reviewed our existing school homework policy to ensure its relevance to the needs of our students. This document affirms the partnership in learning between parents and teachers, and to ensure that the importance of family and leisure activities is recognised in the amounts and type of homework that is set. The following outlines the principles and practices that should ensure homework is educationally beneficial and meets the realistic expectations of students, teachers, parents and caregivers. The amount of time that students are expected to spend on homework will depend upon the age, ability, home environment and extra curricular activities of students including family and cultural obligations. It is important that students of all ages have opportunities for free time, leisure and physical activities outside of school. monitoring, such as advertising in particular newspapers. Wherever possible homework should recognise the place of technology in today’s world and the benefits of using technology such as home computers e-mail and the internet for organising and accessing information. Schools, however, should have regard for equity issues when setting homework that relies upon the use of technology. In high school, homework should develop in students habits of reviewing work undertaken in class. It is expected that homework will be set on a regular basis in each subject. However, the type and amount of homework will vary across subjects. Coordination across faculties is essential to accommodate competing demands in regard to homework, assessment tasks, assignments and examination preparation. This is particularly important in the senior years of high school. There are extraordinary times when students should be provided with the opportunity to negotiate the amount, type and timeframes of homework. 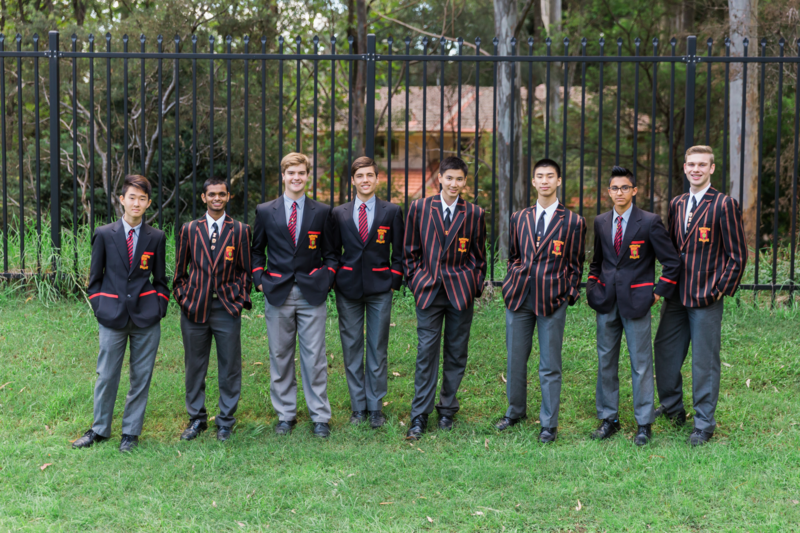 Normanhurst Boys High School finds homework diaries useful to develop students’ organisational skills and time management, and to improve home-school communication. As students move into the senior school homework demands will increase. The school also facilitates seminars and study days to provide students with expert advice how to better organise homework and study. The Learning Curve program, which is incorporated into school diaries, provides useful information to students, parents and caregivers about completing homework and undertaking revision. carefully considering the impact of coaching /tutoring before involving their children/wards. alerting parents or caregivers of any developing problems concerning their children’s homework and suggesting strategies that they can use to assist their children with their homework. ensuring that coaching/tutoring does not have a negative impact on their school commitments. teachers, students and parents should be aware of this issue and students should be encouraged to allocate homework time appropriately. If students are being coached/tutored the school is of the view that school-based homework and revision should take priority over other work. Students are encouraged to use public transport to travel to and from school. Students are required to obtain written permission to park on school premises. Students who wish to drive to sport or other events need to seek permission and obtain a “Permit” to do so from their Deputy Principal. Students who wish to travel in the cars of others students also need to obtain permission via their Deputy Principal. Persons driving into the school grounds are required to do so in a safe and courteous manner. A speed limit of 15 km/h applies to all vehicles on school grounds. Only authorised vehicles are permitted to enter the school grounds. Parents may use the first parking bay at the Fraser Road gate to drop off their sons. They must not proceed beyond this point. refuse the entry of vehicles onto school grounds. Students are required to park in the areas allocated to them. Whilst they are parked within the school grounds, students are required to display on the dashboard of their vehicle the laminated card, authorising their entry. Students are required to complete the appropriate form before being issued with the card authorising their entry onto school grounds. Students are to access their vehicles at the start and at the end of the school day only. Students will only be able to transport ONE student passenger in their vehicle after permission on the appropriate forms has been given by both the driver’s and the passenger’s parents. Students may drive their vehicle to school events only where specific permission has been obtained from the staff member organising the event, and only where the students will not be returning to school at the completion of the event. Students are encouraged to use public transport to travel to and from school. Frequent services operate to and from Normanhurst. The application forms for parking onsite, and to transport/travel with another student can be found in this repository. The wearing of a school uniform encourages pride in the school and contributes to the good standing of the school in the eyes of the community. Uniforms can only be purchased at the school uniform shop managed by Lowes. The uniform shop is open on Mondays and Thursdays from 8:00 am to 12:00 pm, alternatively online orders can be placed by visiting the Lowes online store. Bring a note signed by his parent or caregiver. Students are to present these notes to their Period 1 teacher who will direct them to the relevant Head Teacher for a uniform pass, or the Deputy Principal if they arrive at school after the end of Period 1. Junior and senior students modelling correct wearing of uniform. 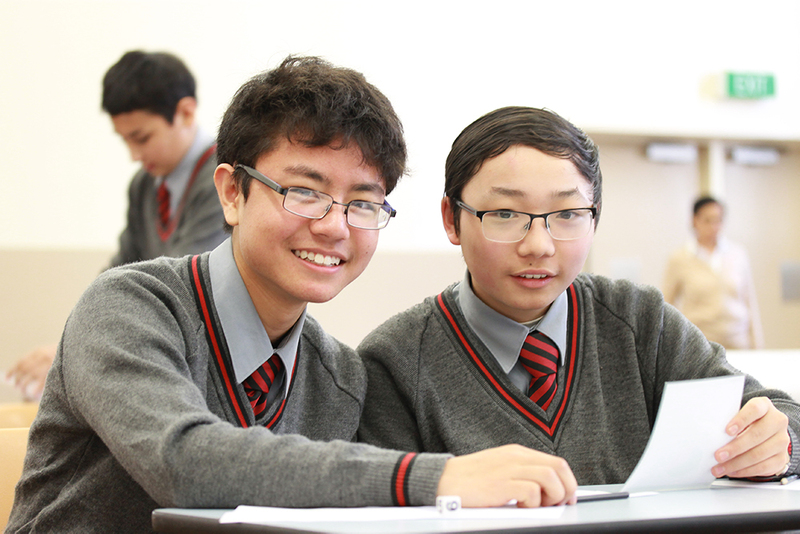 At Normanhurst Boys High School we aim to provide a supportive environment that is conducive to the total development of all students. Students are encouraged to “set the bar high” in all areas of school life – academically, in extracurricular activities and in developing the values and attitudes that will enable them to make outstanding contributions as leaders in society. The Welfare and Discipline Policy, as well as Anti Bullying Policy are cornerstone to the way Normanhurst Boys High School approaches the wellbeing of our students. They are available for download from the following file repository.